Pulao Mehal is a restaurant and specialty in serving a very tasty pulao. 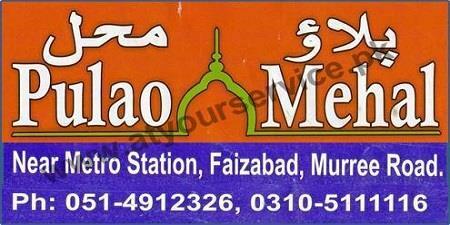 Pulao Mehal is located on Murree Road, Faizabad, Rawalpindi. It is a restaurant and specialty in serving a very tasty pulao.